March 13, 2014 - American Association of Airport Executives (AAAE) President and CEO Todd Hauptli today pointed to the just-released Federal Aviation Administration (FAA) aviation forecast for 2014-2034 as further evidence of the need for Congress to increase the federal cap on local airport user fees to $8.50 and to provide additional Customs and Border Protection (CBP) personnel to U.S. international gateway airports. "The forecast data released by FAA today makes abundantly clear that domestic and international aviation traffic growth is a reality that will soon add hundreds of millions of people to already crowded airports and international arrival halls," Hauptli said. "Airports need to plan and build now to meet that future demand but lack the tools necessary to do so with downward pressure on federal spending and with the purchasing power of the federally capped passenger facility charge falling further and further behind the very real needs that exist at airports across the country. Airports can't meet the needs of tomorrow with a financing system that was last adjusted nearly 15 years ago." AAAE and other airport groups are calling for an increase in the PFC cap which was last adjusted by Congress in 2000 - to $8.50 with periodic adjustments for inflation. The $8.50 level would make up for the loss of purchasing power that airports have experienced as a result of increased construction costs. Hauptli added that in addition to infrastructure development, international gateway airports need additional staffing resources from CBP to facilitate the arrival of international passengers and U.S. citizens returning from abroad. According to the FAA forecast, international traffic growth will increase at a more rapid pace than domestic air travel, growing by some 4 percent annually. CBP has highlighted that international air passenger volume increased by more than 21 percent between FY 2009 and FY 2013 with more than 110 million international arrivals expected in FY 2015. CBP has further noted that airport wait times increased nearly 11 percent in FY 2013 from FY 2012, and many gateway airports are experiencing significant delays for passenger processing. 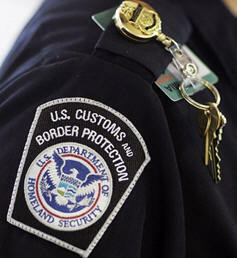 "Increased wait times at U.S. gateway airports caused by a lack of available CBP staffing is a serious issue that will continue to have a significant economic impact given the amount of money that international travelers spend on travel and tourism in our country," Hauptli noted. "The failure to deploy adequate CBP resources in the U.S. airport environment is the definition of 'penny wise and pound foolish,' and we urge Congress and the Administration to quickly devise a plan to put new CBP officers at U.S. airports that are experiencing passenger processing delays." The forecast released today by the FAA predicts steady traffic growth in the domestic and international aviation activity. Domestic enplanements are expected to grow by some 2 percent annually during the forecast period while the average annual rate of growth between 2014 and 2034 for international passengers to and from the United States on U.S. and foreign flag carriers is expected to be 4.2 percent.